The character of Vala in my view was a good add. She brought in that one element that was missing when they wound down O'Neill's activity, the person who gave you humor and caught you off guard at every turn. She frowned at authority in ways that even Jack would have been proud of. I'm glad she was there and I think her and Sam were a good match for one another, they balanced each other out. I'm sort of protective of Daniel and Vala kinda put a bad taste in my mouth cause of her interactions toward Daniel the first time, but I can get used to her lol after a while. very good I like the film, the city was very blade runner in style which is always a fan winner . 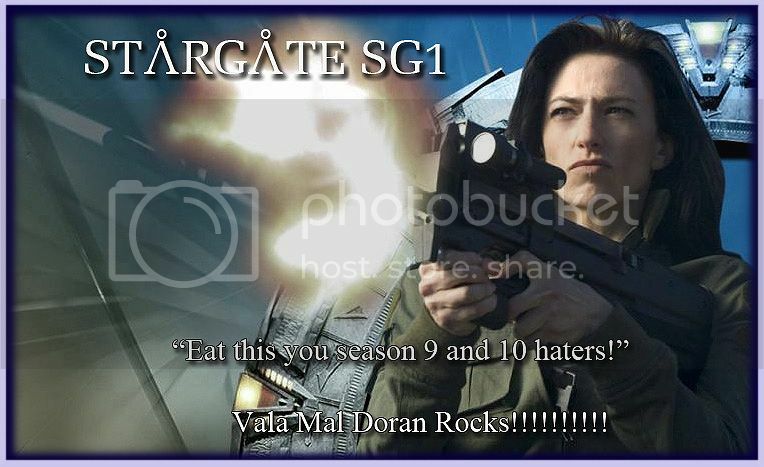 Vala is actually one of my favorite characters. I loved her. I thought she was funny, but it was all self-deprecating. She was using all that as a shield, she really just needed a family, love, and I truly identified with her for that reason. She was so afraid of getting hurt because she had been hurt so many times before. My absolute favorite Character was Daniel and when he laid into her on "Unending" It truly upset me. I honestly don't think I could have forgave him as quickly as she did. He was very mean and hurtful and he actually meant every word of it at the time he said it. At the time Claudia was playing her role in Farscape, she did a small guest spot in our local theater production. 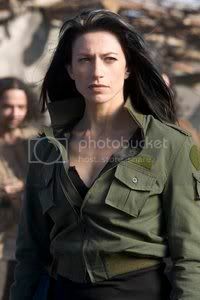 One would never have thought, after seeing her in Pitch Black and then Farscape that she had any great talents for comedy, but she has such great comic timing and I think that as well as her acting skills in general, helped her make such a lovable character as Vala. At the time Claudia was playing her role in Farscape, she did try the marine muscle a small guest spot in our local theater production. Great video, Claudia is hot.